Have you ever wondered what it means to be authentic? There’s a lot of talk these days about living authentically and being true to yourself. My frustration is that life isn’t simple and sometimes trying to figure out what it means to be authentic feels like trying to decipher a code. It’s possible to buy a “designer” handbag from a street vendor in many big cities. Some of them are really convincing. These designer knock-offs look good for awhile and impress people – particularly if you don’t let on that you’re carrying a fake. You may even feel really good about scoring a knock-off because it’s way cheaper than the real thing but allows you to walk around in style. But eventually it begins failing. It starts to look sloppy and shabby after you carry it around for a bit. It falls apart. You might regret your decision not to save up for the real deal. At the very least you may feel embarrassed of how it looks. Now, buying a real designer handbag costs a chunk of change. You may not have that kind of money right away. Working for the money or saving up for the nice handbag can be challenging. But in the long-run, it’s worth the investment if you’re looking for quality. If you want something that will stand the test of time, that won’t wear thin or fall apart under a little stress, then you want the real thing. The AUTHENTIC one. 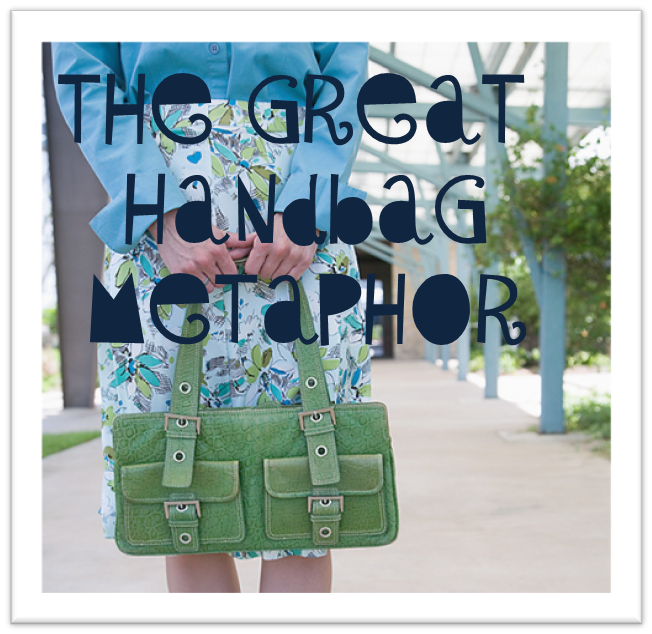 Obviously, this designer handbag example is just a metaphor. I’m not much of a designer label girl! But hopefully you get the point. If you’ve spent a long time living your life under a layer of “knock-off truths” about yourself, authenticity may feel like a lot of work. Like trying to save up for a designer handbag when you have no source of income. You might not even be clear on what’s authentic about you and what’s not! This has actually been challenging for me at times. For example, I’m naturally an introvert but when I’m surrounded by extroverts for extended periods of time, I start to feel an unnatural shift. Deep down, I know what my temperament is, but the people pleaser in me begins to mirror the social strategies of those around me. I come back to my senses when I examine my emotions and ask myself some clarifying questions. Here are the questions, along with my personal insights. I hope you find these questions helpful in your own life! 1.) Am I feeling the effects of inauthenticity? There’s nothing wrong with escaping, We all need to do it every now and then. We can escape into a book or movie – that can be a healthy form of escape. But inauthenticity also shows up in the urge to escape uncomfortable situations versus facing them with what we’ve got. 3.) Am I feeling the effects of judgment? Whether we’re being harsh and judging ourselves or judging other people, we are being inauthentic. Judgment is just another incarnation of fear and escape. When we get into a judgmental place, we are stepping away from who we really are. 4.) Am I feeling true to myself? This means feeling a sense of ease, openness and comfort. I am honest, yet gentle, with myself. If a crazy thought crossed my mind, I wouldn’t feel self-conscious speaking it out loud. I’m also 100% in the present moment, even when it’s not enjoyable. Do any of these questions resonate with you? Do you have other questions that help you determine whether you are being your true self? Please share your thoughts in the comments below!